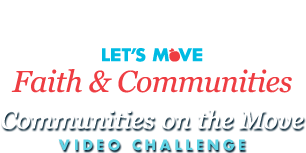 The public voting period for the Communities on the Move Video Challenge is in full swing! Did you know that you can vote once per day per submission? Browse the Video Gallery and vote for your favorites daily until May 11. Your vote will help determine who takes home the Popular Choice Award. To ensure the integrity of the competition, we'd like to caution you against unfair or fraudulent voting practices that could disqualify a submission. Here are some basic Do's and Don'ts. For full details, please refer to the Official Rules. Register for one account per person. Vote once daily for each of your favorite submissions. Attempting any of the following could be grounds for disqualification! Register for more than one account per person. Use an automated process or similar device to vote, including but not limited to a robot, program, script, macro, or other automated means or other source. Pay people or provide any other type of consideration in exchange for votes. We will be fully investigating all votes before determining the winners. Just because a vote appears on the site does not mean it is an eligible vote. We check votes via a wide variety of criteria and are confident that any bad votes won't be counted. If you want to make sure we notice fraudulent votes, email us at support@ChallengePost.com with the subject "Bad Communities on the Move Votes" and include a link to the submission in question. Now that we've got that squared away, go vote! We look forward to crowning the crowd favorites.